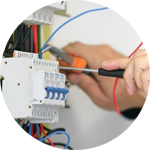 If you need an electrician in Shoreditch, Handy Squad’s electricians will be right at your door. Our team of professionals are ready and willing to help you even if the job seems too small! 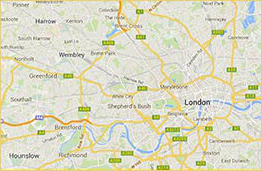 Their trademark yellow scooters can be seen all over Shoreditch, Bethnal Green, Cambridge Heath, Hoxton and Haggerston, so why not give your Shoreditch handyman a call? 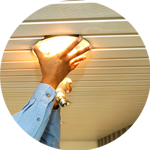 From installing electrical circuits to changing bulbs our team is ready! 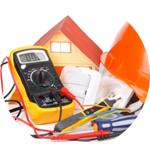 Why not give your North London electrician a call? 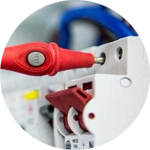 Our expert electrician team have been solving problems both big and small for our clients since 2005, so you can rest easy. 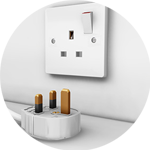 To book your Shoreditch electrician, give us a ring on 0800-0-12 12 12 or fill out our contact form.